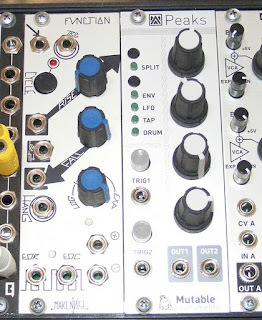 I got another module yesterday that I keep thinking I don't need - until I don't have one. 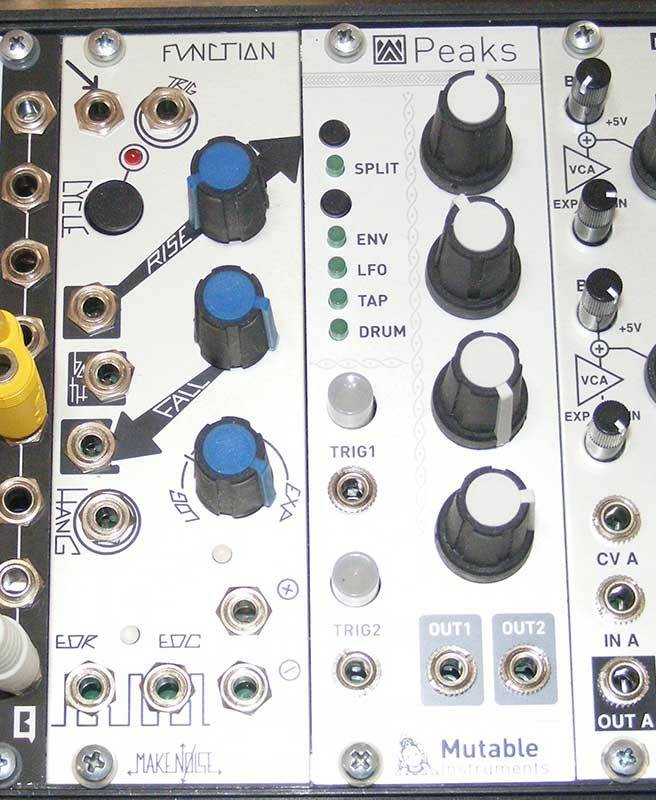 That's the Make Noise Function, which is one of the great unsung tools out there. I know it's not "Half A Maths" - I've got a Maths too. But there is something too useful about dropping this into an 8HP hole and getting a snappy envelope, trianglish LFO, trigger generator, slew generator, track-and-hold and other cool stuff. In order to put it into my performance rig, I pulled one of my Peaks and replaced it with the Function. It's a killer addition, and one of my favorite little (8HP or less) modules, and I won't ever be caught without one again.